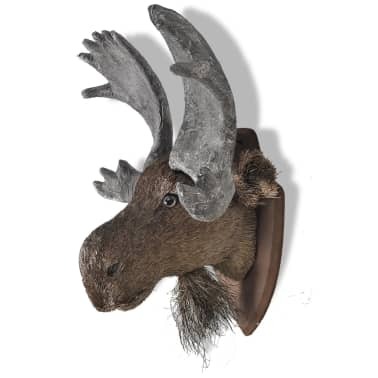 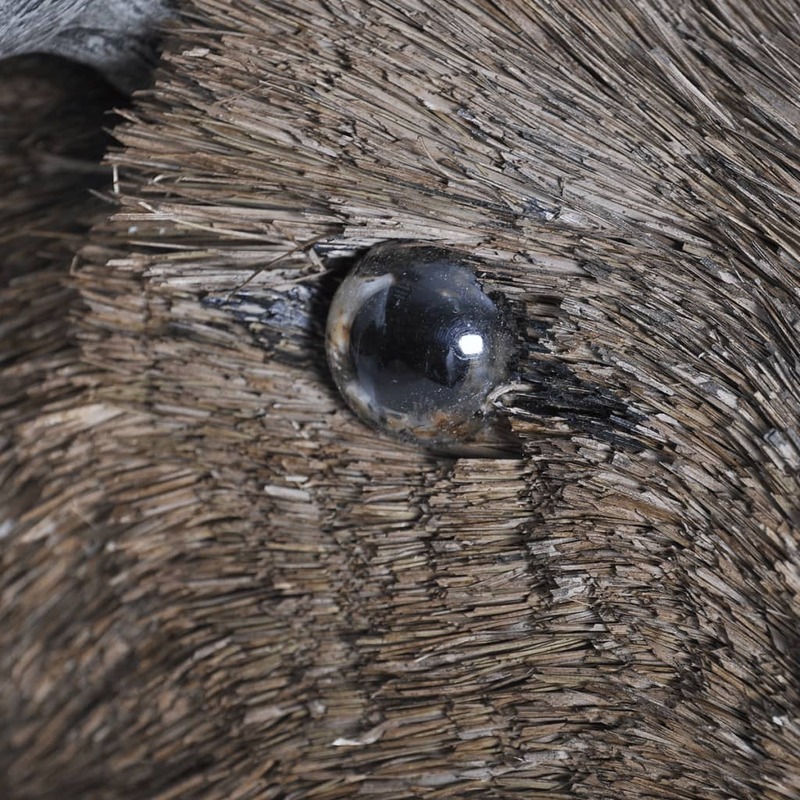 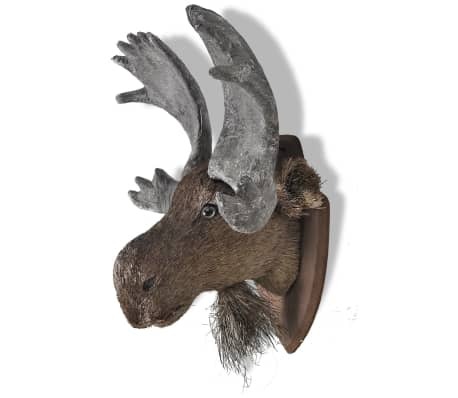 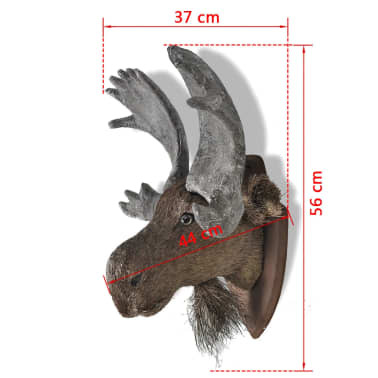 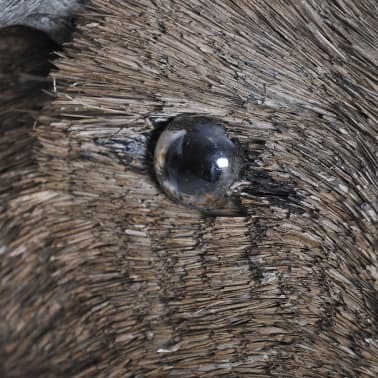 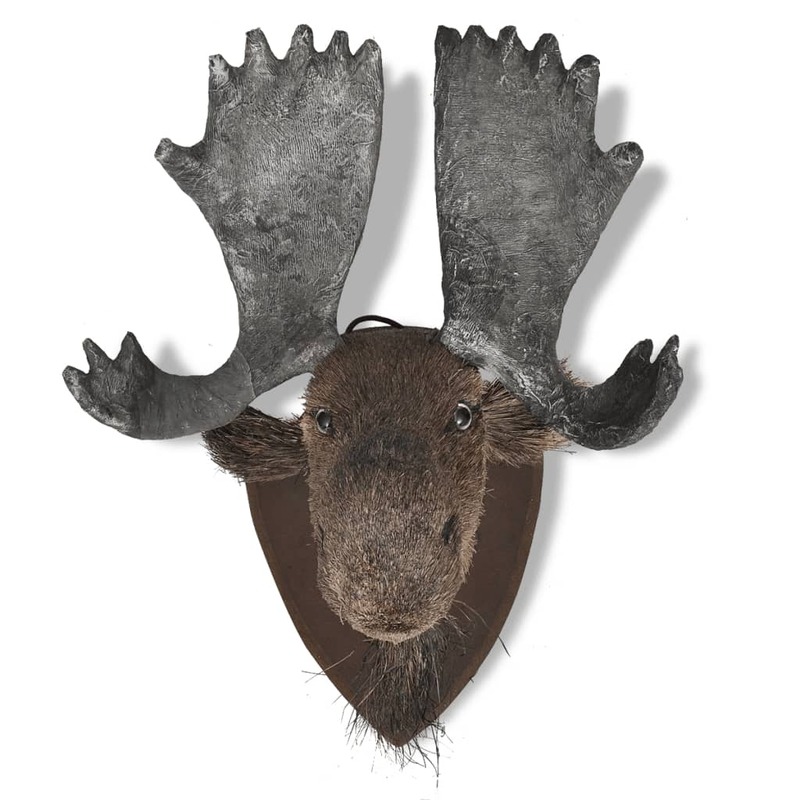 This unique hand-crafted moose head features nice hair and beautiful antlers, being a stunning eye catcher. 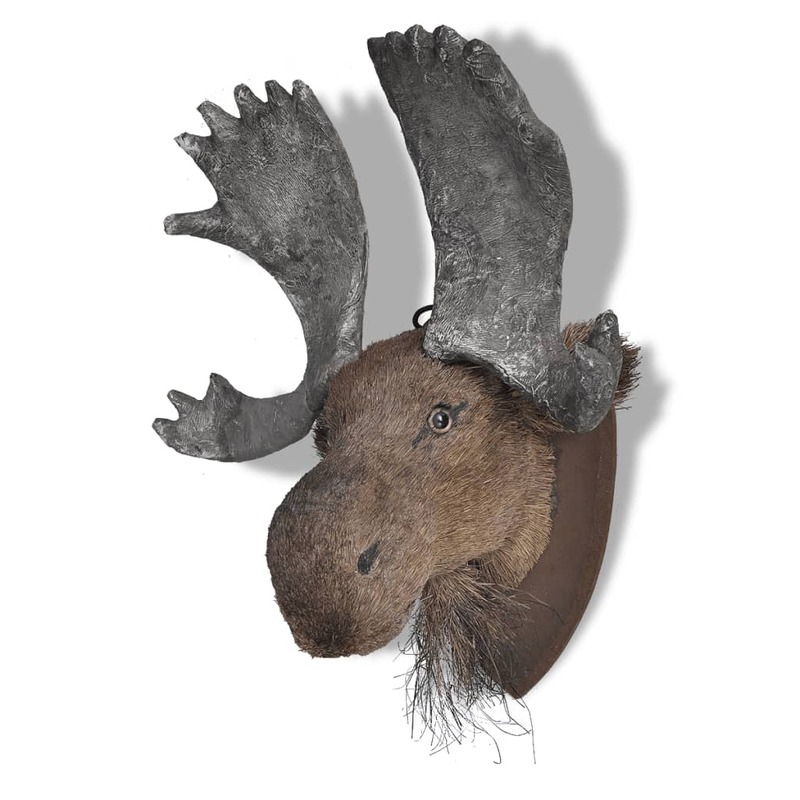 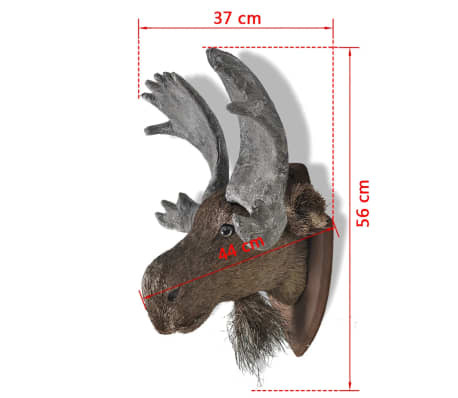 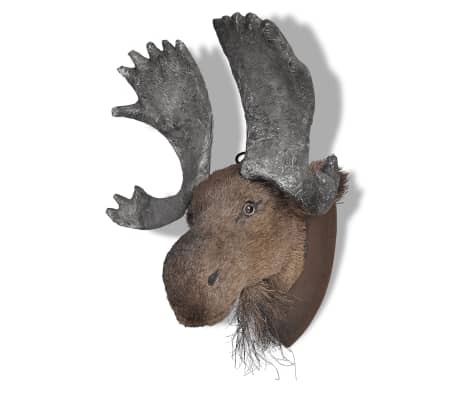 Made of high-quality materials, this moose head boasts a sturdy structure. It is actually quite large, with a width of 37 cm and a height of 56 cm. 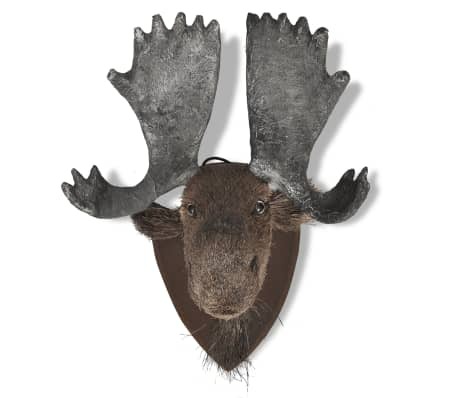 Our superb craftsmanship makes this collectible a great addition to your wall decoration. 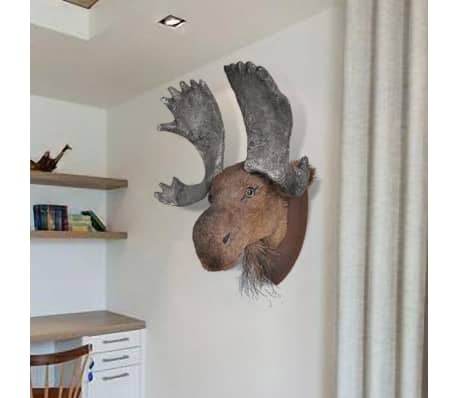 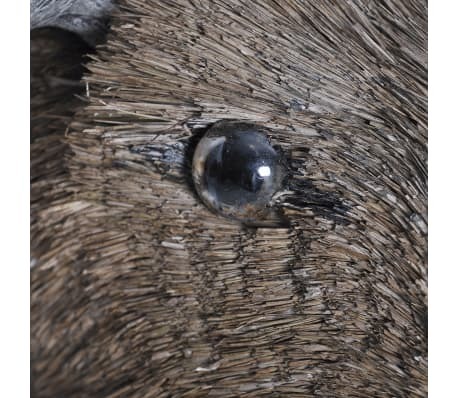 Thanks to the attached rope, the moose head is very easy to be mounted. 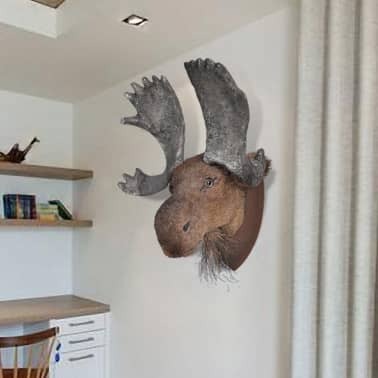 Place it as a main point of interest in your lake house, cabin, and even your study room to amaze your friends!